2017 Audi S7 Quattro Premium Plus One Owner 15630 miles local TEXAS Car.Audi S7 Turbocharged V8 engine generates exhilarating power,With 450 hp just itching to be unleashed by your right foot, the 2017 Audi S7 is a thrilling car to drive. This beautiful S7 has an original WINDOW STICKER $84485 with following optional features: Daytona Gray Pearl effect exterior with Arras Red interior,Black optic package,20 inch 5-double Spoke titanium finish,High Glass Black exterior Package,Audi design selection with Arras Red interior and Carbon Red inlays . 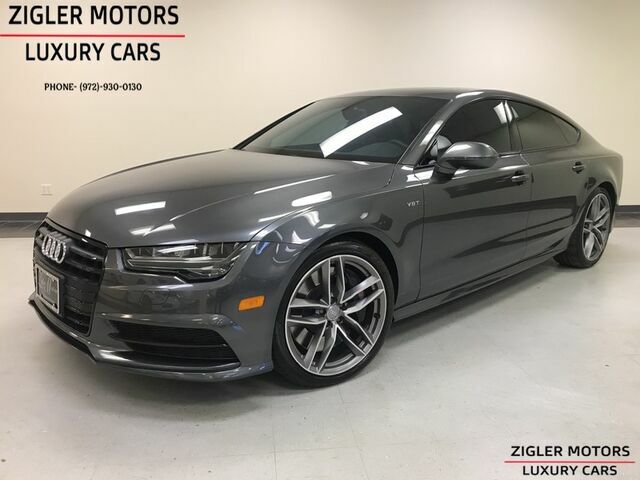 2018 Audi S5 SPORTBACK Prestige 3KMI Heads-UP like new !